The Expendables 2 é un filme estadounidense de acción dirixido por Simon West, escrito por Richard Wenk e Sylvester Stallone e baseado nunha historia de Ken Kaufman, David Agosto e Wenk. É a secuela do filme de acción de 2010 The Expendables, e está protagonizado por Sylvester Stallone, Jason Statham, Jet Li, Dolph Lundgren, Chuck Norris, Terry Crews, Randy Couture, Liam Hemsworth, Jean-Claude Van Damme, Bruce Willis, e Arnold Schwarzenegger. 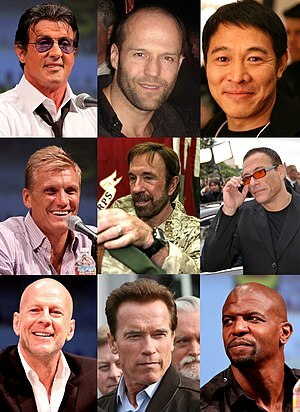 Sylvester Stallone, Jason Statham, Jet Li, Dolph Lundgren, Chuck Norris, Jean-Claude Van Damme, Bruce Willis, Arnold Schwarzenegger e Terry Crews. The Expendables 2 na IMDb (en inglés).